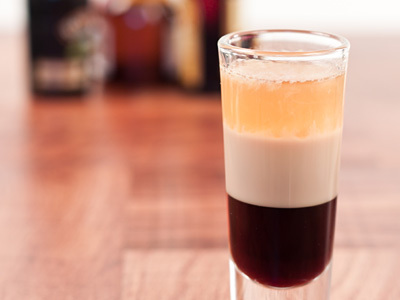 This b-52 shooter recipe prepares a grand old style shot that has its classic three layers. Unlike its flaming version, this does not require top layer of rum. It uses Kahlua but you can also replace it with Tia Maria. Based on the size of your shot glass, you can decrease the measure of all ingredients equally by keeping each part equal. 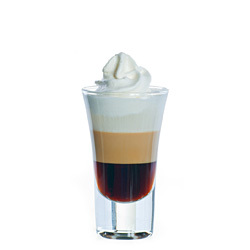 Pour coffee liqueur in the shot glass. Carefully and very slowly pour Baileys Irish cream over back of cold bar spoon positioned over the glass. Similarly pour Grand Marnier over Irish cream and serve with stirrer. I can't wait to try a B-52 shot. The others sound good too! !